Sandler Training of Chattanooga, TN conduct public and private workshops for corporate executives, business owners and/or individuals who find themselves in the sales/management role, helping them develop strategies and tactics to become more effective at revenue generation. 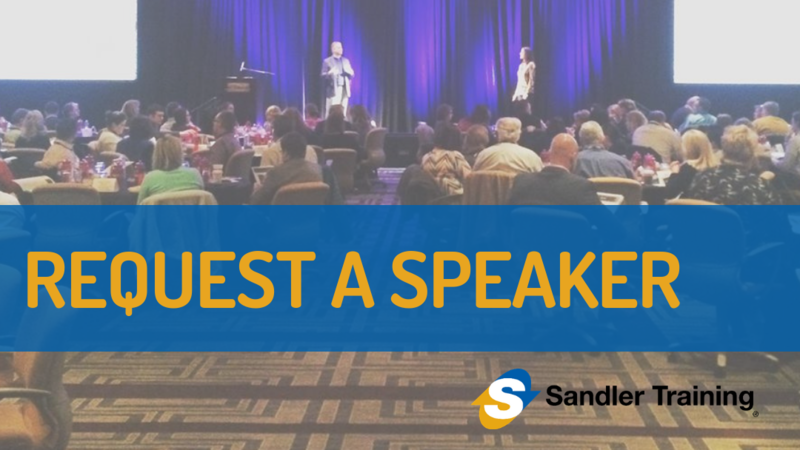 Why Choose Sandler Training of Chattanooga, TN as a Speaker? Sandler Training of Chattanooga, TN are engaging and entertaining speakers who are extraordinary at helping their participants overcome the roadblocks keeping them from reaching their definition of success. They feel if you know the "Why" you can overcome the "How." Believing that humor is an important component of learning has led Sandler Training of Chattanooga, TN to develop a unique teaching style, which is both fun and interactive. This approach has earned Sandler Training of Chattanooga, TN many invitations to speak on topics of business development, sales management, sales, and leadership, both locally and nationally. Liven up your next meeting or event. Request a best-in-class speaker.